traditional Chettinad dish. try and add your comments. Put half the chopped onions in a pressure pan and add mutton pieces, tomato paste, ginger- garlic paste, chilli powder,dhania powder,turmeric powder,2 green chillies,salt and 3 cups of water. Turn the flame off after 5 whistle.keep this aside. Garnish with sliced oions,fried curry leaves and chopped coriander leaves. 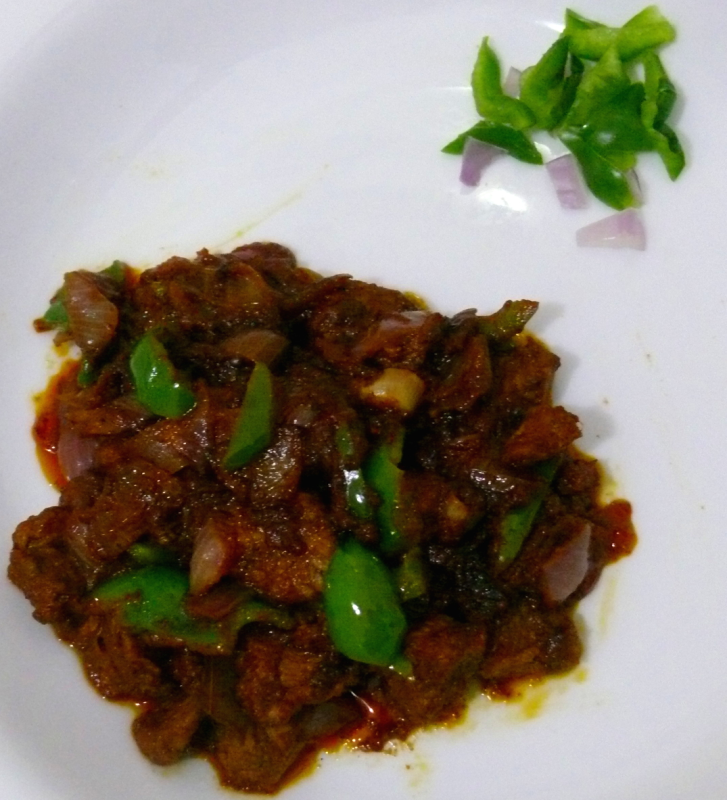 Very tasty chettinad mutton chops is ready to be served with rice . Hi Shinchi,thank u so much. I tried this with chicken and it tasted wonderful. Thank you very much. Thank u very much Sandhya!. Exttttttttreeeemly yummy!!! :) Wonderful recipe!! You MUST try this out!! Garnish with chopped capsicum and spring onions.